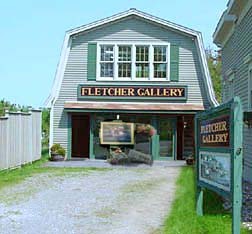 Fletcher Gallery is nestled in the small village of New Harbor, a picturesque village anywhere you look. 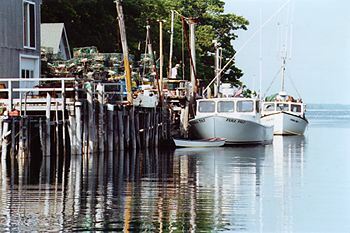 Several working harbors and rocky coastlines adorn the outskirts of the village. Winding narrow roads meander around the area leading to many breath taking scenic views. For the visitor it is a great place to relax to a slower beat. 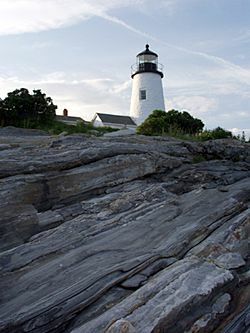 Hotels, restaurants, galleries, and gift shops are scattered around New Harbor and adjacent sea towns.There are many great places to stay in the Pemaquid area.The Thompson Oceanfront Cottages provide quiet romantic views overlooking the ocean. 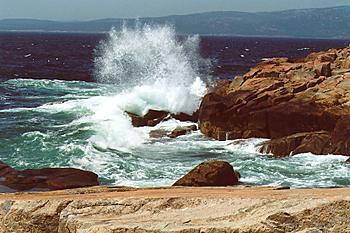 For great harbor views try the Gosnold Arms Inn and Cottages. 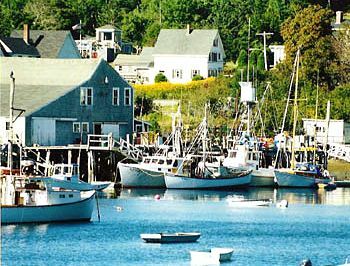 You also might want to try the Finch Cottage , a newly renovated two bedroom cottage located next door to Fletcher Gallery.The Hardy Boat is an excellent get away for puffin watches, sunset cruises or a short trip to Monhegan Island.